Dr. VISHWAJEET ROHIL has obtained his M.B.B.S. degree from University College of Medical Sciences, Delhi and M.D. in Biochemistry from V.P. Chest Institute and has joined the Department of Clinical Biochemistry, V. P. C. I., University of Delhi in 2001 as Assistant Professor, after doing Senior Residency at Maulana Azad Medical College, New Delhi. He has more than 24 years of Professional experience in the medical profession out of which 16 years of experience he has got in Teaching, Diagnostics and Research in the field of Biochemistry, Clinical Biochemistry and Molecular Biology. He is Supervisor and In-charge of the Clinical Biochemistry Autoanalyzer Laboratory for patient care at the Viswanathan Chest Hospital at V.P.C.I. And he is actively involved in Research and Teaching and guiding Post graduate MD and PhD Students. He was selected as Govt. of India Expert, Medical Faculty under Govt. of India assistance programme by Ministry of External Affairs on special deputation to work at the Dept. of Biochemistry at B.P.K.I.H.S., Dharan, Nepal and taught Medical graduates and Post graduates for three years in an integrated setup, thereby he has acquired skills in structured interactive session [SIS], laboratory exercises [LABEX], problem based learning [PBL], multi-system seminars [MSS] with integrated teaching along with newer improved assessment techniques like OSPE [Objective structured practical examination], MCQ, Item analysis, SAQ, MEQ etc. He has Merit to his credit at Asia level in the FCGP examination conducted by IMA. He was invited as External Examiner for MBBS and BDS examinations at SSR Medical College, Mauritius. He is actively involved in research and has published his research work in leading International journals of repute. His work on Subclinical Thyroid Dysfunction in Eastern Nepal was selected for presentation by NEPAL HEALTH RESEARCH COUNCIL [NHRC], NEPAL. He has presented various papers at international conferences. Poster presentation of his research work won the First Prize. Title: ‘Lung Cancer: An Epigenetically Regulated Disease’, at ACBICON 2011, 38th National Conference of “Association of Clinical Biochemists of India, Gwalior. He was appointed as the External Expert for the Practical Examination / Viva Voce for B. Tech, Bioenergetics examinations by the Controller of Examination, Guru Gobind Singh I.P. University, Delhi in the years 2010 and 2011. He was selected as the Subject Expert in the Selection Committee for the interviews for Technical Assistant post by the Department of Training and Technical Education, GOVT. OF NCT OF DELHI. He has actively participated in organizing various Conferences, Seminars and Workshops. He is on the panel of reviewers of various journals and funding agencies. 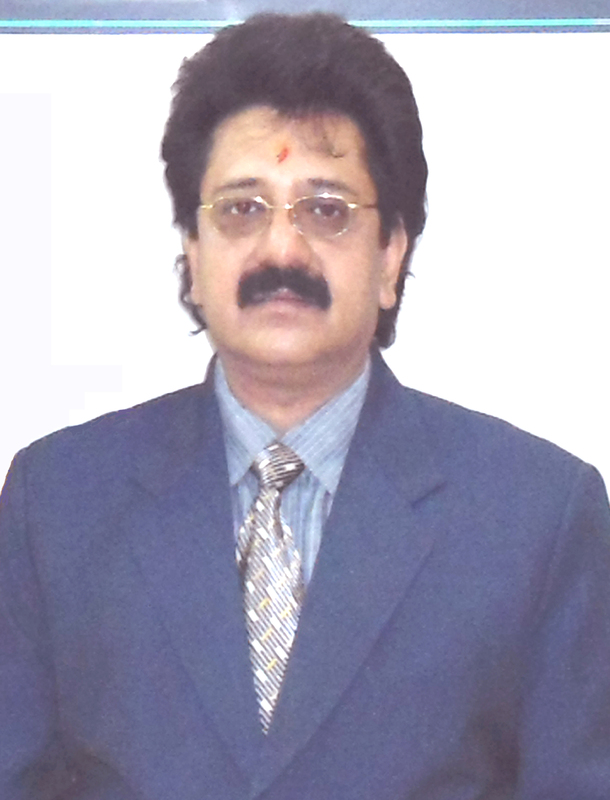 He served as the Governing body Member of V. P. C. I., University of Delhi during the year 2005. Dr. Vishwajeet Rohil was given the Scroll of Honour at the Felicitation Function 2011, by University College of Medical Sciences (UCMS) & G.T.B. Hospital, Dilshad Garden, Delhi - 95 for ‘OUTSTANDING MERITORIOUS SERVICES OF HIGHEST STANDARDS FOR THE CAUSE OF MEDICAL PROFESSION AND INCOMPARABLE CONTRIBUTION TO HUMANITY’ on 4th Sept, 2011. 1. 55th National Workshop on “Educational Science Technology” for Medical Teachers held at MAMC, organized by the Department of Medical Education, National Teacher Training Centre, Maulana Azad Medical College, New Delhi. 2. ‘Training of teachers on Assessment Techniques’ held at B.P. Koirala Institute of Health Sciences, Dharan, Nepal. 3. “Molecular Biology Techniques in Cancer Diagnosis and Treatment”, RGCON-2010, Continued Medical Education (CME) supported by INSA (Indian National Science Academy) & MCI (Medical Council of India) organized by Rajiv Gandhi Cancer institute & Research Centre, Delhi on 26th - 28th March 2010 at India Habitat Centre, New Delhi, India. 5. Training on Operational and Application functions on ELISA Reader with plate washer, Electrophoresis, Wide Mini Sub cell GT and Gradient PCR (Mycycler Thermal Cycler by Bio-Rad Laboratories (India). 6. Two DNA Sequencer (Genetic Analyzer) Trainings by Applied Biosystems / Invitrogen Bioservices India Pvt. Ltd.
7. Participated as faculty member in the ‘National Conference On Latest Advancements In Laboratory Medicine’ on Saturday, 12th February, 2011. Organized by Department of Laboratory Medicine, Max Healthcare Institute Ltd., at Saket, New Delhi. 8. Participated in Symposium : ‘Opening New Horizons in Clinical biochemistry’ jointly organized by the Dept. of Biochemistry, Sir Ganga Ram Hospital, New Delhi and Associated of Clinical Biochemist of India (ACBI, Delhi Chapter) on 21st Jan 2012, Venue : Sir Ganga Ram Hospital, New Delhi. 9. Biotech 2012, Annual Conference “Current Advances in Biotechnology and Medicine”. 24-25th February, 2012, Venue: Institute of Liver and Biliary Sciences, D-1, Vasant Kunj, New Delhi, Organized by: Department of Research, Institute of Liver and Biliary Sciences and Biotechnology Society of India [BSI]. 10. Dr. Vishwajeet Rohil successfully completed a Course on Real Time PCR held at the state-of-art Training facility at Invitrogen BioServices India Pvt. Ltd., 372, Udyog Vihar, Phase -II, Gurgaon -122 016, Haryana, India, between 4th to 6th June 2012 by Applied Biosystems / Invitrogen Bioservices India Pvt. Ltd.
A comparative study of serum high sensitive C-Reactive Protein, Nitrite level and Lipid profile in Hypertension. A study of prevalence of subclinical thyroid dysfunction in Eastern Nepal. A study of Oxidative Stress in Premature Rupture of Membrane. A study of changes in lipid profile in patients with subclinical hypothyroidism. Cytogenetic studies – micronuclei, apoptosis. Cancer biomarkers and Chemoprevention of Genotoxicity. To establish mice tumour model: Ehrlich Ascites tumour cell line (EAT) in mice. To study Calreticulin Transacetylase catalyzed modification of functional protein histone using various Polyphenolic acetates in the mice tumor model. To elucidate apoptosis as a consequence of the hyperacetylation by the novel mechanism in the above model. To establish Transacetylase activity of purified Calreticulin. To establish Human Non-Small Cell Lung Cancer A549 Cell Line Culture. To assay Calreticulin level in tumor cells. To study Calreticulin Transacetylase catalyzed modification of functional protein histone using various Polyphenol acetates and HDAC inhibitors. And to study apoptosis as a consequence of the hyperacetylation by the novel mechanism in all the treatment groups and to correlate it with other parameters. Quantification of various metalloproteinases (MMP1, MMP9, MMP12 and ADAM33) in COPD and smokers. Identification of Single Nucleotide Polymorphisms (SNPs) in the genes encoding various metalloproteinases linked to COPD susceptibility in smokers. To study the correlation between the SNPs, gene products, smokingand COPD. To Study and Correlate The Activity Of Adam 33 Gene Protein with Oxidative Stress In Asthma by studying MDA levels, Vitamin C and Glutathione (GSH) levels and quantify ADAM-33 gene protein levels in the groups under study. 1. “To Elucidate the Molecular Mechanism of Development of COPD in Smokers in North Indian Population.” Funding Agency: Indian Council of Medical Research (ICMR). 2. “Studies on implications of Epigenetic modulation due to Histone Hyperacetylation in Tumor cells induced by drugs targeting protein acetylation system through a Novel mechanism.” Funding Agency: University Grants Commission (UGC). 12 Rohil V, Mishra AK, Shrewastwa MK, Mehta KD, Lamsal M, Baral N, Majhi S. Subclinical hypothyroidism in eastern Nepal: A hospital based study.Kathmandu University Medical Journal, 2010, Vol. 8, No. 2, Issue 30, 231-237(Original Research Article : Accepted on: 10 April, 2010, Kathmandu University Medical Journal ISSN 1812-2027 (Print) ISSN 1812-2078 (Online). 18 Books published: One Book Chapter. Hanumantharao G. Raj, Ajit Kumar, Ranju Kumari, Seema Bansal, Prija Ponnan, Prabhjot Singh, Nivedita Priya, Garima Gupta, Shvetambri Arora, Anil S. Baghel, Sanjay Goel, Ruchika Gulati, Usha Singh, Rashmi Tandon, Daman Saluja, Bilekere S. Dwarakanath, Anant N. Bhat, Tapesh K.Tyagi, Amit Verma , Vishwajeet Rohil, Ashok K. Prasad, Ekta Kohli, Anjana Vij, Surinder K. Bansal, Vannan K. Vijayan, Subash C. Jain, Ramesh C. Rastogi And Virinder S. Parmar. “Prospects for the Development of Polyphenolic Acetate as the Potential Drug Candidate: A Review”. Comprehensive Bioactive Natural Products, Vol. VII, Chapter 4, Studium Press, 2010, ISBN : 1-933699-50-7. One paper is under review submitted to Journal of Pharmacy and Pharmacology. A manuscript titled Antimutagenic action of O-acetyl, N-acetyl and S-acetyl derivative of 4-methylcoumarins: role of Calreticulin Transacetylase (JPP-11-0682) has been submitted. Two other papers are under preparation and communication stage in different Journals. 1. Hyperbolic Activation of Liver Microsomal NADPH Cytochrome C Reductase by 7, 8-Diacetoxy-4-Methylcoumarin. H.G. Raj, V.S. Parmar, S.C. Jain, S. Goel, Y. Tyagi, Vishwajeet Rohil, Jesper Wengel, Carl E. Olsen. Presented in National Seminar on Perspectives in Interfacial Areas of Chemistry and Biology. 20-22 January 1998, Organized by Dept. of Chemistry, University of Delhi, Delhi. 2. Antioxidant action of dioxygenated 4-methyl coumarins: A novel mechanism for the inhibition of biological membrane lipid peroxidation by the formation of a stable ADP-Fe-inhibitor complex. H.G. Raj, V.S. Parmar, S.C. Jain, B.S. Garg, R. Sharma, Y. Tyagi, Vishwajeet Rohil, S. Goel, Jesper Wengel and Carl E. Olsen. Presented in National Seminar on Perspectives in Interfacial Areas of Chemistry and Biology. 20-22 January 1998, Organized by Dept. of Chemistry, University of Delhi, Delhi. 3. Mechanism of antioxidant behaviour of 7, 8-diacetoxy-4-meythylcoumarin: Results of Pulse Radiolysis studies. S. Goel, H.G. Raj, V.S. Parmar, K. Indira Priyadarsini, J. P. Mittal, Y. Tyagi and Vishwajeet Rohil. Presented in National Seminar on Perspectives in Interfacial Areas of Chemistry and Biology. 20-22 January 1998,Organized by Dept. of Chemistry, University of Delhi, Delhi. 4. Mechanism-based inhibition of CYPIA and CYPIB linked mixed function oxidases by 7,8-diacetoxy-4-meythylcoumarin (DAMC). H.G. Raj, V.S. Parmar, S.C. Jain, Y. Tyagi, S. Goel, Vishwajeet Rohil, Jesper Wengel, Carl E. Olsen. Presented in National Seminar on Perspectives in Interfacial Areas of Chemistry and Biology. 20-22 January 1998,Organized by Dept. of Chemistry, University of Delhi, Delhi. 5. Reprint: Abstract of the paper Teratogenesis Carcinogenesis and Mutagenesis 18: 249–261 was reprinted in Australian Mycotoxin Newsletter Vol. 10, No. 2 (June 1999), page number 14. 6. Reprint: Abstract of the paper Mutation Research—Genetic Toxicology and Environmental Mutagenesis 494: 31–40 was reprinted in Australian Mycotoxin Newsletter Vol. 12, No. 4 (December 2001), page number 18. 8. Khurana P., Raj H.G., Dwarkanath B.S., Adhikari J.S., Rohil V. , Kumari R., Gupta G., Bose M, Parmar V., Olsen C.E. : Significance of the Activation of the Platelet Nitric Oxide Synthase (NOS) by Acetoxy Polyphenols. Presented in XXXV Annual Conference, Indian Pharmacological Society, Nov 26-29, 2002, [Venue: Defense Research and Development Establishment, Gwalior, India]. 9. Subclinical Thyroid Dysfunction In Eastern Nepal : PRESENTED BY ME. Vishwajeet Rohil, Shanker Majhi, Nirmal Baral, Madhab Lamsal and Ameet K. Mishra: Published in the abstract book in XIVTH Anniversary Celebrations Scientific Programme, from 16th – 19th September 2007 at B.P. Koirala Institute of Health Sciences, Dharan, Nepal. 10. Efficacy of polyphenolic acetates as novel anti-genotoxic agents mediated by a novel membrane-bound transacetylase : PRESENTED BY ME. Vishwajeet Rohil, H.G. Raj, Yogesh Tyagi: Published in the abstract book in XIVTH Anniversary Celebrations Scientific Programme, from 16th – 19th September 2007 at B.P. Koirala Institute of Health Sciences, Dharan, Nepal. 11. Serum High Sensitivity C-Reactive Protein And Nitrites In Hypertension. Arun Pandeya, Lal Chandra, Vishwajeet Rohil, Nirmal Baral, Pramod Acharya and Madhab Lamsal: Published in the abstract book in XIVTH Anniversary Celebrations Scientific Programme, from 16th – 19th September 2007 at B.P. Koirala Institute of Health Sciences, Dharan, Nepal. 12. Low Total Calcium Level in Visceral Leishmaniasis. Gelal B, Yadav A K, Mehta KD, Rohil V, Lamsal M, Baral N, Rijal S and Majhi S: Published in the abstract book in XIVTH Anniversary Celebrations Scientific Programme, from 16th – 19th September 2007 at B.P. Koirala Institute of Health Sciences, Dharan, Nepal. 13. Reproducibility of Urinary Iodine Measurement by APDM Method [Poster presentation]. B. Gelal, V. Rohil, L Chandra, S. Majhi, M. Lamsal, N. Baral: Published in the abstract book in XIVTH ANNIVERSARY CELEBRATIONS SCIENTIFIC PROGRAMME, from 16th – 19th September 2007 at B.P. Koirala Institute of Health Sciences, Dharan, Nepal. 14. Hypokalemia As A Feature Of Hyperthyroidism : A Case Report [Poster presentation]. Reena R, Mehta KD, Mishra A, Rohil V, Lamsal M, Baral N and Majhi S: Published in the abstract book in XIVTH Anniversary Celebrations Scientific Programme, from 16th – 19th September 2007 at B.P. Koirala Institute of Health Sciences, Dharan, Nepal. 15. Iodine Nutriture Among The Primary School Going Children Of Dharan. Published in the abstract book in XVTH Anniversary Scientific Programme, from 1st – 4th September 2008 at B.P. Koirala Institute of Health Sciences, Dharan, Nepal. 16. To Study The Role Of Oxidative Stress In Premature Rupture Of Membrane [Poster Presentation]. Published in the abstract book in XVTH Anniversary Scientific Programme, from 1st – 4th September 2008 at B.P. Koirala Institute of Health Sciences, Dharan, Nepal. 17. Alterations In Lipid Profile In Patients With Subclinical Hypothyroidism. Published in the abstract book in XVTH Anniversary Scientific Programme, from 1st – 4th September 2008 at B.P. Koirala Institute of Health Sciences, Dharan, Nepal. 18. Comparative study of Adenosine deaminase isoenzyme contents in serum and plasma of patients diagnosed as visceral Leishmaniasis. Published in the abstract book in XVITH Anniversary Scientific Programme, from 3rd –5h November 2009 at B.P. Koirala Institute of Health Sciences, Dharan, Nepal. 19. Evaluation of Adenosine deaminase isoenzyme in patients with visceral Leishmaniasis as a diagnostic marker. Published in the abstract book in XVITH Anniversary Scientific Programme, from 3rd –5h November 2009 at B.P. Koirala Institute of Health Sciences, Dharan, Nepal. 20. One Abstract of my work Titled: ‘Lung Cancer: An Epigenetically Regulated Disease’, has been presented as Poster presentation by my PhD student at ACBICON 2011, 38th National Conference of "Association of Clinical Biochemists of India, Gwalior, and our Poster Presentation won the first prize. 21. Adenosine Deaminase Isoenzyme Activities in Serum and Plasma of Visceral Leishmaniasis Patients. M. Lamsal, M. K. Shrewastwa, V. Rohil, S. Majhi, S. Rijal, N. Baral., CLINICAL CHEMISTRY, Vol. 57, No. 10, Supplement, 2011. Abstract no. D-131. 22. One Abstract of my work Titled: ‘Role of Polyphenolic Acetates in Lung Cancer’, has been presented as Poster presentation by my PhD student at IACR 2012 : 31st Annual Convention of Indian Association for Cancer Research (IACR) and an International Symposium on 'Cancer Genomics and Its Impact in the Clinics' on January 26 – 29, 2012, Venue: Auditorium, Khanolkar Shodhika, ACTREC, Navi Mumbai. Authors: Anju Sharma, Karuna Sharma, Kapili Nath, Shweta Paul, Richa Dixit, Jayashree Bhattacharjee, Vishwajeet Rohil. 23. .‘Chronic Obstructive Pulmonary Disease’. Nath, K., Bansal, S.K., Sharma, A., Paul, S. Rohil, V.Abstract of Paper Presentation published in 57th Annual Technical Session, Assam Science Society organized by GAUHATI UNIVERSITY, Gawahati – 781014, Assam, India, on 16 March 2012, venue: Phanidhar Datta Seminar Hall, GAUHATI UNIVERSITY, Gawahati – 781014, Assam, India, AMS-15, page 12. 3 ‘Hypokalemia as a Feature of hyperthyroidism: a case report’ Presented in the Clinical grand round from the Dept of Central Laboratory Services [CLS] at B.P.K.I.H.S. on 20th March 2008 at B.P.K.I.H.S. 4 My work on ‘Subclinical Thyroid Dysfunction in Eastern Nepal’ was selected for presentation and discussion by NEPAL HEALTH RESEARCH COUNCIL [NHRC] and was presented by me at the ‘Eastern Development Regional Dissemination Workshop on Research Findings’ organized by NHRC, Nepal held at B.P.K.I.H.S. on 14th June, 2008. The objective was to disseminate the findings of research conducted in Eastern Development Region of Nepal and to explore the areas for utilization of research findings.